Since the summer of 2010 a restored Junkers Ju 88 G-1 night fighter fuselage Wnr 714628 has been on display in Berlin’s Deutsches Technik museum. 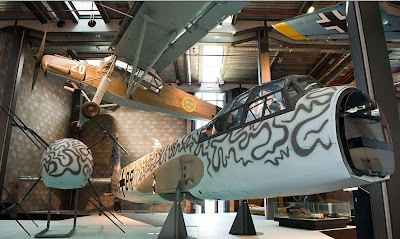 It is the only Ju 88 night fighter variant extant and one of the only three renovated Ju 88 twins on display in aviation museums around the world. In the early hours of 5 December 1944 the twin radial BMW 801 engines of a Ju 88 G-1 roared into life at an unknown German airfield in western Hungary. The machine, on the strength of NJG 6 and marked with the Verbandskennzeichnen 2Z+BR, powered off down the runway and was quickly climbing for altitude in the clear night sky. The prey however was not an incoming bomber stream - like many similar late-war night fighters in the East, the three-man 7. Staffel crew, pilot Helmut Buder and two wireless operators Hans Buehler and Gottfried Jentzsch, had been briefed to fly a Schlachtfliegereinsatz – a ground attack sortie against Soviet troop and tank columns pushing westwards. Although equipped with the advanced electronics of the Lichtenstein radar and its associated ‘antler’ or Hirschgeweih antenna array in the nose, this particular G-1 was a heavy fighter and mounted a weapons tray of heavy cannon under the fuselage. The aircraft still had the two 20 mm Schräge Muzik cannon in an installation behind the cockpit. Despite being ill-suited for ground strafing, Ju 88 night fighter pilots had adopted certain techniques to facilitate their task. Cutting their engines at altitude once over the target area and gliding silently down onto the unsuspecting Soviet columns before restarting their engines was one particularly effective measure as recorded by 35-victory NJG 100 ace Günther Bertram in a letter to this blog author. On the ground the Red Army had already begun to penetrate into the area around Lake Balaton (Plattensee) by December 1944. The Soviets had heavy fighter cover which would prove fatal for Bruder’s machine - picked up by Soviet aircraft of unknown type, 2Z+ BR was caught in a cone of fire and sustained heavy damage during the course of the sortie. Attempting to put down for an emergency landing in the vicinity of Balaton-földvar on the eastern side of the lake, the Ju 88 G-1 broke into several pieces and quickly sank into the water, which at that location was only a few metres deep. The crew was killed in the crash and recorded as missing. The wreck was still at the bottom of Lake Balaton in 1995, when Hungarian police divers begun work on removing undesirable obstacles in the lake. The police divers were warned by local fishermen about the wreck lying in shallow water near Balaton-földvar. Later in 1996 a constructor’s plate was located, which together with the fighter’s code 2Z+BR enabled historians to determine that this was G-1 2Z+BR missing since the combat flight on 5 December 1944. The restoration would prove particularly difficult – the extricated wreckage was broken into several parts. The only complete units were the middle section of the fuselage and the port wing minus its outer section. The outer half of the starboard wing and the front part of the fuselage including the cockpit were most likely severely damaged when crashing into the water. The Norwegian Luftfartmuseum in Bodo under Birger Larsen had already restored a complete Ju 88 D-1 WNr. 0881203 and held a decent selection of parts from Ju 88 C-4 Wnr. 0880797 and was therefore able to provide assistance for the restorers Bircask of Hungary working in conjunction with the German Museum of Technology. The parts from the Ju-88 C-4, two complete halves of the wing and part of the fuselage, came from Mehamn area in the North of Norway, where this particular aircraft had force landed during WWII. Both wrecks were transported to the Bodo Museum by Norwegian Air Force Westland Sea King helicopter. During December 2003 the representatives of both museums signed a joint venture agreement - the well-preserved wing parts of C-4 WNr. 0880797 wreck were used to complete the missing wing parts of the G-1. The missing front section of the G-1’s fuselage was constructed as a replica by copying Ju 88 D-1 Wnr. 0881203 and many spares from both collections were incorporated into the rebuild. 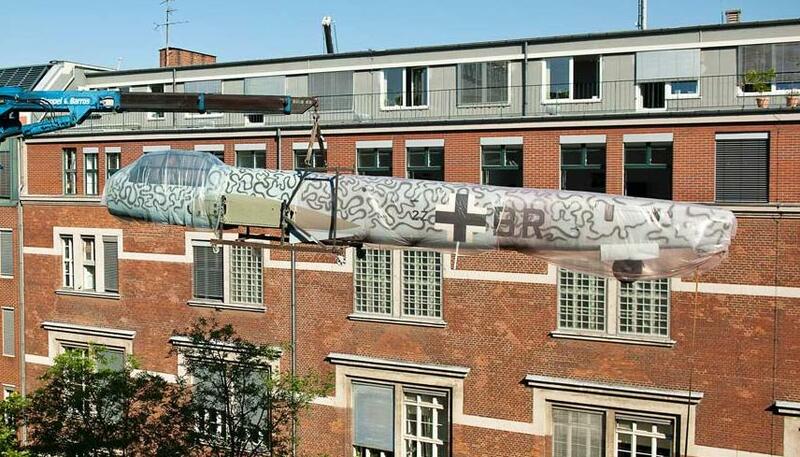 Both Norwegian fuselages were transported to the Karl Birczak restoration workshops in Hereg near Budapest in March 2004. 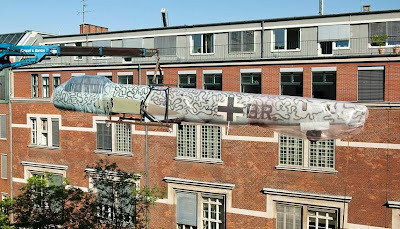 The German Museum of Technology committed in the joint venture to meet all restoration expenses for a complete “Norwegian” D-1 fuselage, work also done by Birczak. “Since there was always more and more radar and direction-finding instruments installed in the aircraft, they had to be operated by another crew member,” according to night fighter ace Heinz Rökker. The German Museum of Technology has thus gained an authentic- albeit partial - Luftwaffe Junkers Ju 88 G Nachtjäger, the only one in the world. Now that the fuselage is finished and on display, work has begun on the wings and engines.